Praise the Lord, we have finally added preaching hoodies to our product lineup! The bold has now moved into the cold with our newest product addition, and you will love our prices! Street Preaching Hoodies are made with the same dependable materials as out street preaching t-shirts. Please note that we also offer custom designs on the christian hoodies, and the default hoodie type is a pullover style. Zip hoodies are available as well, just contact us at preacherjk@gmail.com for more information! 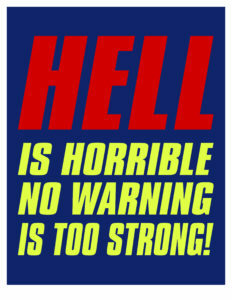 As usual, here at WWW.SHIRTSTHATSPEAK.COM, we consistently provide only TOP QUALITY street preaching t-shirts and RUGGED, HEAVY DUTY street breaching banners. All hand made by us, right here in our own shop, with only the best materials. We do not outsource our work to Bangladesh or India, and you don’t have to wait 3-5 weeks for your order to arrive. We ship using super fast, super reliable USPS Priority Mail, usually arriving within 3 days of leaving our headquarters here in Ft Myers, FL! Please note that we are upgrading our website incrementally, and when we can, we are adding new designs as well. 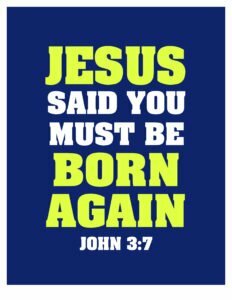 Our newest is the BORN AGAIN SHIRT, so please feel free to browse our site and pick out the shirt of your choosing. Thanks again for supporting our humble ministry, and MAY GOD GRANT YOU BOLDNESS TO PREACH HIS WORD TO EVERY CREATURE! How can we get the gospel of Jesus Christ and His message out to EVERYONE? We have a great assortment of new preaching t-shirts for the open air preacher, like tools in the belt, so to speak. Here at www.shirtsthatspeak.com, we are adding new and fresh content regularly, so please check out our selections today! 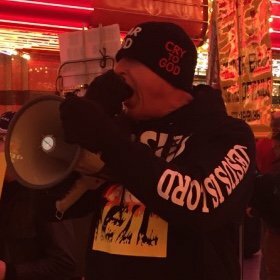 Not everyone will wear these confrontational street preacher t-shirts, but there are some less aggressive styles to consider, as well as the bold, in your face t-shirts that you see all the street preachers wearing on Youtube and Facebook. These are high quality cotton and cotton poly blend tees, with premium heat transfer vinyl applied to both the front and back of the shirt. Each shirt is made to order, and is carefully packaged and shipped right to your front door. Our shirtsthatspeak website has fresh new christian t-shirt designs, made specifically for the street preacher, open air evangelist, and anyone who wants to get the word out. Browse through our shop page for the latest in biblical, bold, confrontational clothing to stir up the people and get them thinking about God, Jesus, judgment, hell, and eternity! Our Website Is Open For Business! We have finally opened our website! Thank you Jesus! It took a while, but we have put up a few of our shirts, specifically the Infidel shirt I made for Ruben Isreal a few months ago. Feel free to buy any of our shirts and get yourself some instant persecution, awkward stares, or general rejection in the public eye! Oh, and you MIGHT get a couple of amens, too! Let us know what you think, and hey, I have one question: WHAT DOES YOUR SHIRT SAY?